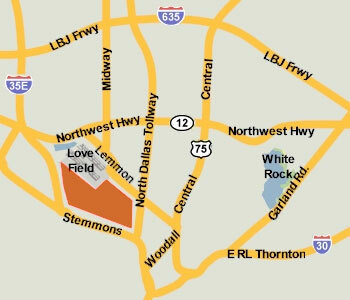 These premium properties in Love Field and Maple Springs were listed for lease as of April 13, 2019. Click on the address for more information on each, including photos and a map of its location. For more information about any of these premium properties in Love Field and Maple Springs, or to schedule a showing, contact John Pritchett 214.234.0056, JPritchett@msn.com. ° Beautifully maintained Tudor located close to dart rail, medical district, and downtown. Landlord will pay to have yard mowed. Pets on a case-by case. Hardwood floors, granite counter tops. Ideal for one occupant. One car off street parking only. ° Additional Info: Pets allowed, unfurnished, available now, 1 covered parking space(s), 1 fireplace(s), Dallas ISD. ° This commanding cottage with modern updates is a very welcoming home! This home is in the perfect location with quick access to nearby restaurants, bars and Dallas city living! Solid surfaces throughout with gorgeous original hardwoods. The front porch originally a patio that has been transformed into a quaint private outdoor greeting space. It is a light and bright space through out! The huge backyard has beautiful grass and an fence that is perfect for your pets or entertaining. Updated kitchen is the heart of the home. This home has much character and charm. Welcome home. Wonderful neighborhood where the listing agent has been a neighbor since 2004. Great street! ° Additional Info: No pets allowed, unfurnished, W/D connections incl., available now, 3 covered parking space(s), Dallas ISD. ° Updated Tudor with lots of Charm. Located in vibrant Oak Lawn Heights, this charming Tudor features Hardwood Floors, High Ceilings, Modern Updates, Garden Tub with Separate Shower in Bathroom. A Skylight in the raised ceiling of the Kitchen lights up cooking on the gas range. A wall of light comes through the French doors allowing access to the side patio and the back deck. The yard allows for good indoor-outdoor living in the Heart of the City. A Bonus Room is up a staircase. Come see for yourself, it's perfect! ° Additional Info: No pets allowed, unfurnished, available 5/1, 1 covered parking space(s), 1 fireplace(s), Dallas ISD. ° Additional Info: Pets allowed limit 1, unfurnished, available now, 0 covered parking space(s), 1 fireplace(s), Dallas ISD. ° Additional Info: Pets allowed, unfurnished, W/D connections incl., 2 covered parking space(s), 1 fireplace(s), Dallas ISD. ° Listing Agent: John Coke, Allie Beth Allman & Assoc. ° Great place just down the street from Love Field Airport, you can get there in under 5 min! Also within walking distance from Dart Train Station. Newest house in the neighborhood, lots of upgrades. ° Additional Info: No pets allowed, unfurnished, 0 covered parking space(s), Dallas ISD.